What does it take to get a new state park open to the public? As it turns out, it’s a long and winding road, often with bumps along the way. 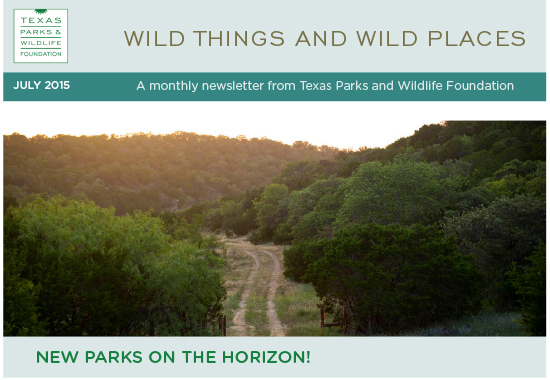 Palo Pinto Mountains State Park west of Fort Worth is one of several parks that, once open, will be treasured for generations to come. Find out more about the birth of a park. Texas Parks and Wildlife Foundation has partnered with Budweiser for the “This Bud’s for Texas Parks” contest. You’re invited to vote as often as once per day for your favorite Texas State Park. Our friends at Budweiser will donate $25,000 to support the state park with the most votes. Your vote could be the difference for your favorite state park. Everything’s bigger in Texas, and that includes our arthropods. Like the giant redheaded centipede recently spotted in Garner State Park. Read an article about them here. And it’s just one of the amazing examples of Texas wildlife we work hard to conserve every day. 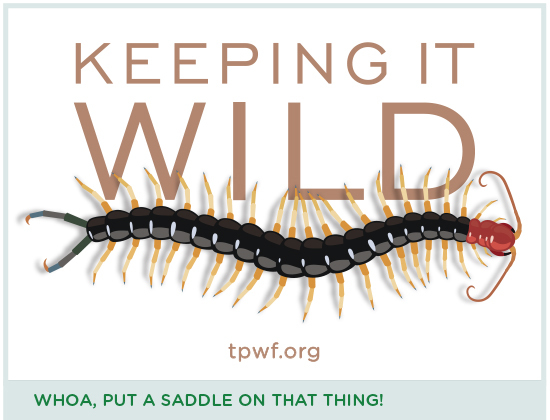 Not to bug you, but if you’d like to help us keep Texas wild, please consider making a $20 donation. You’ll receive a special edition sticker if you donate before September 1.